Taking food-related photos is very popular right now. 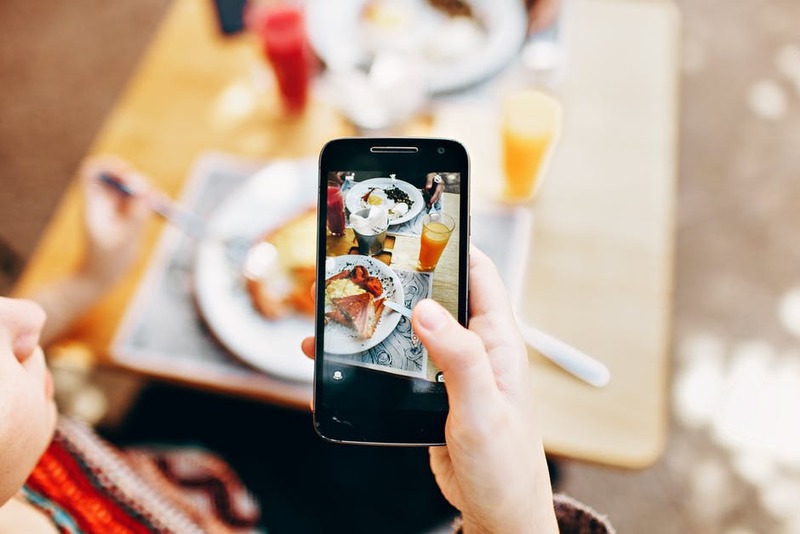 People take food photos professionally for marketing for restaurants and chefs, food photos are often included on Instagram and social media profiles, and there are food bloggers who take pictures of their recipes along the way to post for their site visitors. 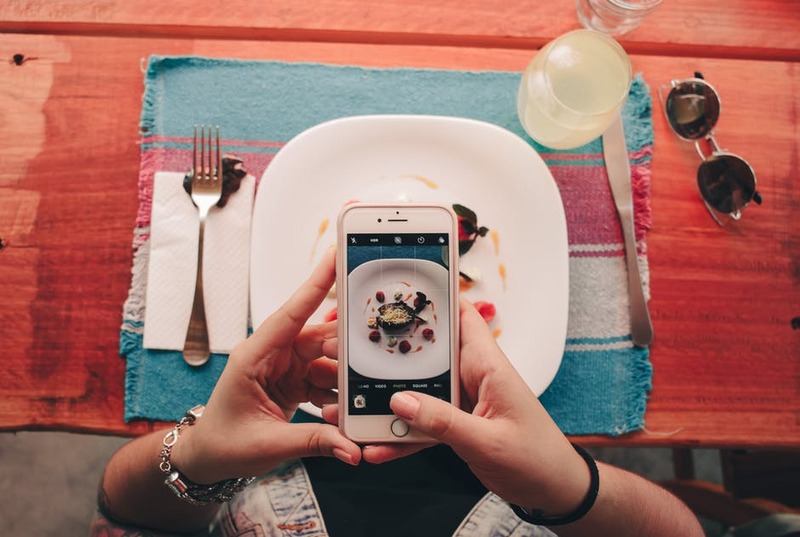 You can take food photos on a mobile device, such as your iPhone or you might do it with a larger camera. 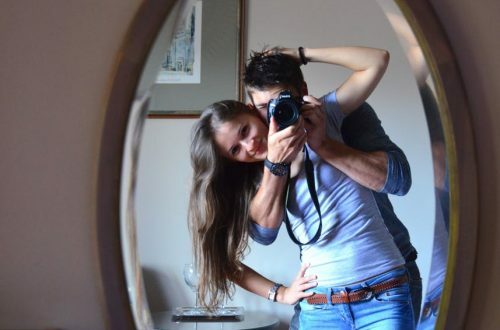 Using a compact digital camera is also an option. “Despite the advances of smartphone cameras in recent years, a handful of compact cameras still have an edge on them when it comes to taking photos,” according to a blog on Shotkit.com. Beyond choosing a camera for food photos, what else should you know to get great shots? The following are some tips and tricks. If you’ve learned anything about photography at this point, even if you’re fairly new to it, it’s probably that you should shoot in natural light whenever possible. Food pictures in natural daylight are going to lead to a much better result than food photos taken under artificial light. For example, if you were to use a lamp for your food photos, it would create a possible yellow or orange light that’s going to distort your image. This is especially important since many food photos will include white background elements like plates or a tablecloth. If those look yellow because of the light you use, it’s going to be unappealing to the viewer. Along with natural light, aim for it to be soft and diffused. Sometimes food photographers will even go outside to take their photographs if the weather permits. As with any other kind of photography, the role of shadows is important in food photography. If you’re shooting in light that’s powerful and very directional, it’s going to make shadows too overpowering. An overcast day is usually the best take to take any kind of photos for that reason—it will soften the shadows. When the light is diffused and the shadows are softened it can make an image look more dimensional, but it’s not too strong of an effect. One way that food photography is unique from other types of photography is the fact that you’re going to have to think about what people’s minds will associate with the image regarding taste. It has to be visually appealing, but you have to make the food look like it’s going to be appealing to other senses as well. When food is shown in a certain way, psychological researchers have found that people who view it are more likely to say it tastes good. When you’re photographing food, think about how you’re plating or it, or essentially presenting it. The wrong presentation can be a turn-off to people viewing your photo. A lot of people who regularly work with food and food photography feel like in many ways how you plate it is more important than the quality of the photography you take. When you’re plating food to take a picture, think about the food itself. Is it food that would lend itself to a more casual, messy plating or is something that should be more organized to create a sense of balance? With food pictures, you want the plate or the dish itself to be the focal point, so just as the arrangement is important so is the background of the photo. In almost all cases the best option is a relatively neutral backdrop. The backdrop of food photos doesn’t have to be entirely devoid of any other elements, but it should be simple, and it shouldn’t detract from the food. A light background often complements food that’s light-colored, and the same goes for dark food and dark backgrounds. A natural wood background tends to work well across the board. Finally, when a lot of food photographers or bloggers are starting, they find that their images come out blurry. Blurry photos are a common issue because of the shaking of the camera. While you can try and focus on holding the camera more steady, this isn’t always easy. A better option might be to use a tripod that comes with a remote. This ensures your camera is going to be completely still. You might also use a faster shutter speed if you’re concerned about the blurriness, or you could raise your ISO which will lower the amount of light you need.